Follow the Money is analyzed as a crime and follows the money through the Silverstein heist, the secret heist of Marsh & McLennan, et al., put and call option insider trading on many corporations; and the Pentagon’s missing trillions. At this point, when you look at some of the oiligarchs themselves, I don’t think money is necessarily the driving factor behind this. I think that we have to start to understand that this is ultimately about control – control of society, control of the very genetic code of the planet itself – and that might sound outlandish until you start to piece all of these different pieces of the puzzle together. Control over education, control over medicine, control over plants and agriculture start to form a control grid, which really does look like a monopolization of every aspect of life as we know it. I’m Bonnie Faulkner. Today on Guns and Butter, James Corbett. Today’s show: Oil and 9/11: Crossroads of Corruption and Criminality. 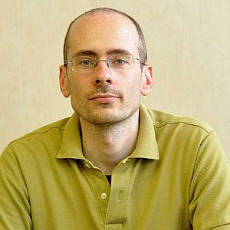 James Corbett is the producer and host of The Corbett Report, an Internet-based, independent, listener-supported alternative news source that has attracted a large audience. Bonnie Faulkner: James Corbett, welcome. James Corbett: Well, thank you so much for having me here. It’s a pleasure to talk with you. Your recent documentary, “How Big Oil Conquered the World,” was also called “Rise of the Oiligarchy.” You produced it in four parts: The Birth of the Oiligarchy, Competition is a Sin, The World in Their Image, and Monopolizing Life. You cover a breathtaking amount of complex historical events in the space of an hour and 15 minutes – and, of course, the documentary raises as many questions as it answers. Naturally, you start with the Rockefellers and move forward from there. What’s an oiligarchy, and why did you name it this? James Corbett: I think oiligarchy is the best way to try to encapsulate what really developed with the creation of the oil industry as we know it. That, of course, dates back to the 19th century and parts of the early 20th century, but it didn’t take very long for the oil industry to become monopolized. It became not just the commodity that was handled by monopoly cartels perhaps best exemplified by the Standard Oil cartel, but it became the backbone for the economy and for really the entire production of world goods altogether, not only in terms of the energy that’s required to produce and ship goods around the world but even the goods themselves are often made out of petrochemicals and basically their derivative products. So I thought it was important to try to understand that and the importance of that, that the modern oligarchy as it exists over the global economic system is in many ways an oiligarchy. It is founded and run by the same family cartels that managed to monopolize the oil industry in its early parts. But I also wanted to make the point that it isn’t really just the oil industry itself that is the range of influence or activity of these oiligarchical interests, that over the course of the 20th century they started to branch out into a lot of very diverse fields and used the economic control that came with the monopolization of the oil industry for other ends. Bonnie Faulkner: In Part 2, Competition Is a Sin, you cover a dizzying array of subjects from ethanol, prohibition, the destruction of mass transit, the rise of OPEC, the elimination of the gold standard, petrodollars, etc. With regard to the so-called oil embargo of 1973, you talk about the Yom Kippur War as being orchestrated to ultimately usher in higher oil prices. I remember the 1973 oil shock, and I also remember seeing the Shah of Iran on “60 Minutes,” I think it was, saying that oil tankers were leaving Iran as usual. There were also claims that these tankers were simply not being unloaded. The whole thing was fake, don’t you think? James Corbett: Well, yes, and I think it’s important to understand where the fakeness of that event really stems from. In the documentary I present some of the documents that have since come to light of the 1973 meeting of the Bilderberg Group, a very elite organization that has largely remained under the media radar for many decades. It was founded in 1954 by Prince Bernhard of the Netherlands who himself, of course, is reputed to be one of the major stakeholders in Shell Oil, Royal Dutch Shell. In 1973 this Bilderberg meeting specifically was talking about the possibility of an oil crisis, a large increase in energy costs that they were talking about could be as much as a $10 to $12 increase in the price per barrel, which at that time was a 400% increase over regular prices. Now, it’s interesting to note, when this meeting convened in May of 1973 there was no oil embargo at that time. There was not even really the hint of one because the Yom Kippur War had not even taken place at that point. This was all theoretical that they were supposedly discussing in these leaked documents. But lo and behold, in October of that year, of course, OPEC did decide to raise oil prices, first by 70% and then in December the Shah of Iran, as you mentioned, demanded a 400% oil price increase at the December meeting of OPEC, and that was granted. So by the end of the year, the Bilderberg meeting that in May, again, had been calling for a 400% price increase saw that 400% price increase materialize. I think most interestingly, Saudi King Faisal’s personal emissary had been asked at one point by a journalist why the 400% increase was necessary and had been told by the Shah, “Tell your king if he wants the answer to this question he should go to Washington and ask Henry Kissinger” – which is extremely interesting in light of recently declassified documents from the Israeli archives that were declassified in 2013 and reported on by the LA Times and other outlets at that time, that Henry Kissinger had had a secret back-channel negotiation ongoing with Golda Meir in the run-up to the Yom Kippur War in which Meir and Kissinger by association had rejected numerous different peace offerings by Sadat, and basically the war had been if not necessarily the invasion order signed by Henry Kissinger, at any rate he had been complicit in the push towards that war, so that, of course, the war takes place and then the OPEC embargo takes place as a result of that. So it does seem that we do have good, solid documentary evidence that this war was engineered, at the very least allowed to happen or pushed into a position where it would happen so that the OPEC oil price increase would happen. And again, we have the Saudi king’s personal emissary saying that Kissinger was really responsible for the Iranian demand for the oil price increase. Bonnie Faulkner: Well, yeah, James. It sounds like everybody was in on it, including OPEC. James Corbett: Well, certain members of OPEC, anyway. And, of course, it did work out extremely well for certain members of the oil cartel in various parts of the world including Saudi Arabia who, as the other shoe to drop in this changeover that took place in that period of time, became a beneficiary of the American military umbrella as part of the petrodollar system that was also engineered with the help of, of course, Henry Kissinger who basically provided military protection as well as arms sales to Saudi Arabia in return for the Saudis agreeing to price all of their future oil sales in US dollars, thus creating a demand for US dollars in an environment where there was not necessarily anything really at all backing up the US dollar anymore since Kissinger had taken the dollar off of the gold standard in 1971. So if the Saudis and others who would obviously follow them in this move price their oil in US dollars that would create that ready-made demand. And, of course, also the Saudis agreed to funnel that money back into the US through the Wall Street banks by buying up US treasuries, so it was a really masterful political and economic move that helped to not only consolidate the control of really the oiligarchs – because of course, this is oil interests that are now backing up the US dollar and thus the world monetary system as a whole – but also, of course, for the very few elite connected individuals and parties that get to take advantage of that new paradigm. Bonnie Faulkner: Well, yes, exactly, and all of these things – the going off the gold standard, the creation of the petrodollar, etc., etc. – this all served to preserve the dollar as the global reserve currency, right? James Corbett: Yes, that’s exactly right. Bonnie Faulkner: Yeah, because I remember from your documentary and, of course, it’s well known that around the time that Nixon took the dollar off the gold standard there was an economic crisis that caused that, right? James Corbett: Well, there were a number of reasons for it and I think it was pretty inevitable. By the point that Nixon actually formally took the dollar off the gold standard in 1971 it was almost inevitable that that was going to happen. There were a number of reasons for it but really, throughout the 1960s the Bretton Woods system that had been put in place in the wake of World War II – Bretton Woods conference took place, of course, in New Hampshire in 1944 to form the basis of the post-World War II economy, and at that point it was agreed that basically the currencies of many different countries would be pegged to the US dollar, which itself would be redeemable for gold at the rate of $35 an ounce. But in order to maintain that peg there, of course, had to be a somewhat steady and predictable increase in the supply of US dollars at a reasonable rate. But as we can see, of course, with the Vietnam War, there was just increase in spending to a degree that was worrying a lot of people. So you started to get countries like Germany and France starting to demand actual gold for their dollars and the US Federal Reserve was running out of gold reserves in order to actually backstop that, so in 1971 Nixon did end that system formally. And at that time, it really did create a system where you had this structure where all of these different currencies were more or less either pegged or working in concert with the US dollar as the world reserve currency but there was really nothing at all behind it at that point. So there had to be something to backstop that and ultimately it became the oil-petro-chemical industry that ended up backstopping it really at the barrel of the US military gun as encapsulated in that deal with Saudi Arabia. Bonnie Faulkner: Right, and of course, as I mentioned before, leading up to this point in your documentary you go through a lot of the early history of oil monopolies, the elimination of ethanol as a fuel, actually prohibition adding to the popularity of oil, the destruction of mass transit – we all know about the electric cars, they were eliminated – etc., etc. Then in Part 3, “The World in Their Image,” you cover control of modern education, medicine, the monetary system and the food supply. You begin with modern education. What was the Rockefeller Plan for modern education and how did it differ from traditional education? James Corbett: Well, traditional education in the United States – specifically, until the 1850s there were no compulsory schooling laws so education tended to be done locally and really, in what would be seen from today’s point of view in a disorganized way but in fact led to remarkable successes in terms of having an educated and literate population. In fact, the 1840 census found that literacy in the US was upwards of 92 to 100%, which shouldn’t be surprising because of course, if you go back to revolutionary times, “Common Sense” was a remarkably popular pamphlet that really did start to turn the tide of American public opinion towards the revolutionary bent that it took and saw through to the conclusion of the creation of the country. So I think it was well known that the American populace was extremely well educated before there was compulsory schooling. But with the creation of the modern schooling system and really the Prussian education system, which was adopted largely in the late 19th century/early 20th century in America and elsewhere around the world, as John Taylor Gatto and other researchers have detailed, you started to have the possibility of the curriculum being standardized in a way that would create a predictable outcome for students. And that predictable outcome isn’t really difficult to understand what it was or why it would be desired by people in industries of various sorts. Basically, they wanted not independent thinkers who were capable of thinking and acting for themselves, but really, people who were educated enough to understand what was needed of them but basically to consign themselves to a life of labor in a factory, which, of course, was the predominant industrial system of the time. Ultimately, of course, what are they trying to raise up then? It is docile workers for the factories of these industrial monopolists, and they were remarkably successful, I think, in that endeavor if you start to look at the educational outcomes of the rest of the century. But it’s not only Rockefeller but Rockefeller and the Carnegie Endowment worked together in the early part of the 20th century to shape the historical understanding first in American history, and then through a number of scholarships and the creation of various educational institutions and societies really started to shape the way that history and education was taught in the United States generally. Another aspect of that was, of course, the Flexner Report, which was released in 1910, that was an overview of the American medical education system at that time that brought about a revolution in the American medical system, which was the next sort of phase or scope of what the oiligarchs were looking to try to transform. Bonnie Faulkner: Well, that’s right. Could you explain the petrochemical interests behind modern medicine? How does modern medicine differ from medicine in the past and what does it have to do with petrochemicals? James Corbett: Well, there are different paradigms for understanding what medicine is or how it functions. In the late 19th century the battle lines – or if not battle lines, at least the demarcation lines – had been drawn between homeopathy, naturopathy, which looked at natural herbs and other ways of trying to stimulate one’s own immune response versus the allopathy, which of course is trying to cut and burn or try to get rid of diseases in various ways. And in the late 19th century there was an old phrase that, basically, “one way you’ll die of the cure, the other way you’ll die of the disease” – talking about the pretty poor results of medicine at that time. Basically, some of the grotesque types of surgeries that were done without anesthesia or other ways of relieving pain were excruciating and caused a lot of early deaths themselves. On the other hand, a lot of naturopaths and homeopaths didn’t really have ways of dealing with a lot of illnesses. So there was this sort of uneasy tension, and there was really no regulation by the end of the late 19th century in terms of the medical industry. There was no formalized, standardized system for education let alone the American Medical Association was only just being birthed, so there was a very scattershot approach to medicine in the early days. But that, of course, was overtaken by the creation of the American Medical Association, and the Flexner Report, which as I say, had a huge impact – it was a Carnegie-sponsored report by somebody who went on to work for the Rockefeller Institute looking at the American medical education system and how it was sloppy and how it should be standardized. And of course, one of the ways that it ultimately became standardized was to make it a rigorous seven-year training process, or more, in which doctors were trained in the use of medicines, which conveniently enough for the oiligarchs tended to be petrochemically derived medicines. One, I think, particularly interesting example of that, which I point out in the documentary, is Nujol, which is short for new oil, which was the name of what was marketed as a laxative. It was literally just a crude oil byproduct that was marketed by a Standard Oil subsidiary – that also produced pesticides at the same location, the same factory, incidentally – that was marketed as a laxative that would cost something like 10 to 29 cents for a 6-ounce bottle. It cost Standard Oil less than half a cent to actually create that bottle but led to quite a lot of profit, obviously. Those are the types of direct monetary interests that the petrochemical manufacturers had in the creation of our modern conception of medicine to the point where today medicine is synonymous with, of course, the idea of going to a doctor and getting a prescription for a medicine – usually, again, a petrochemically derived medicine – as a way of trying to cope with illness rather than of course looking at ways to improve one’s own immune system or to basically deal with the prevention side of medical care rather than the cure side. Bonnie Faulkner: What are some of the corporations involved in modern medicine and how did they effect their control? James Corbett: Well, some of the largest chemical companies in the world were, for example, BASF, which derives from a company that was founded in Germany in the early 20th century called IG Farben. It was a drug and chemical cartel that was founded by some of the largest chemical companies in Germany at that time, and it became one of the largest industrial manufacturers in the world, in fact, only behind Standard Oil of New Jersey and a few other companies to take the largest company spot. After World War II IG Farben was disbanded because of its help in the rise of the Third Reich, but exactly like Standard Oil, which was broken up in the early part of the 20th century but in fact just became an even larger corporation, really, or series of corporations, when it was disbanded, IG Farben was likewise. So BASF of course remains one of the largest chemical companies in the world today, as are a couple of other offshoots that I think will be well known to the audience, Bayer and Sanofi, which are some of the largest pharmaceutical companies in the world. Again, this ties directly back to the oiligarchical influence that we’ve seen with IG Farben having been not only itself a petrochemical company but also one that had on its board Prince Bernhard of the Netherlands, who I mentioned before was part of the Royal Dutch Shell conglomerate. So again, this traces back to the same families that have been together with this petrochemical interest since the beginning, and to this day Bayer and Sanofi remain some of the largest pharmaceutical companies in the world and extremely profitable companies for those involved with them. Bonnie Faulkner: Let’s talk about food. What is the Green Revolution and does it differ from the Gene Revolution? James Corbett: Well, yes, at least in a manner of speaking. The Green Revolution dates back to the 1940s and it dates back to, in most readings of history it dates back to Norman Borlaug who was a researcher who was investigating various forms of wheat and maize and other crops that were being cultivated in Mexico. His task was to try to find crops that would be more resistant to various problems that Mexican farmers would have. Part of his research involved finding new strains, creating new strains of wheat and other crops that would be more responsive to the Mexican farmers and their plights. He was quite successful in that and through a variety of techniques he was able to breed new strains of wheat, for example, that were much more resilient and provided a lot greater crop yields. As a result of that and the application of his various techniques in various places around the world, we had what is called the green revolution – basically, an enormous increase in yields that took place throughout the 1950s and ‘60s and ‘70s that was enabled by this revolution through these modified strains but also through the introduction of modern industrial farming techniques. Of course, as it turns out, Norman Borlaug was a researcher for the Rockefeller Foundation and the Rockefeller Foundation and associated interests in a number of petrochemical and associated companies started to fund, to the tune of billions of dollars, the cultivation of these crops in various Third World countries. Of course, also attendant with it the creation of the modern agribusiness cartels including the ABCD Seed cartel, Archer Daniel Midlands, Bunge, Cargill, Louis Dreyfus – some of these companies really started to consolidate control over world food supplies at that time and continue to in the present day. Of course, this was, again, directly beneficial to the oiligarchs themselves who, of course, as one of their petrochemical derivatives is petrochemically derived fertilizers. So you had fertilizer companies like DuPont and Hercules Powder and others that were able to directly benefit from this. But then, of course, there was also the secondary or tertiary benefits of this that also occurred to the oiligarchs in the form of the modern industrial practices that were being spread around the world at the same time as this Green Revolution with fertilizers and tractors and irrigation – of course, all of these modern farm implements running on oil and oil-supplied energy from, of course, the oiligarchs themselves. A lot of this was financed through the US government, through US aid programs including President Johnson’s Food for Peace program. So basically, the agribusiness giants were making direct profits from this Green Revolution via the US government and ultimately the US taxpayers, in the service of this spreading of the Green Revolution around the globe. The Green Revolution has been sold as this great success story but there are, of course, numerous downsides that have taken place as a result of it as well. Fist of all, it’s not at all clear that the enormous increases in yields that we saw in the middle of the 20th century were directly related to the Green Revolution itself. In fact, in India research has shown that the pace of the crop yield increases actually started to slow after the introduction of the Green Revolution because of disparate ways that this was being applied in different areas. It also had real social costs in a lot of places. Basically, this tended to benefit people who were rich landowners already, at the expense of the farm-working peasants who were more and more being replaced, basically, by automation and had to move to urban slums and try to find ways of making money, usually by ending up in Third World condition, sweatshop-like condition factories producing goods for multinational conglomerates. So there were a lot of downsides to the Green Revolution but it’s usually talked about as some sort of great success. The Green Revolution ultimately, of course, just parlayed into the Gene Revolution, which is what is the moniker for the modern what they call the biotech tech industry revolution of the food supply, which is now looking at various ways to scientifically engineer at the genetic level various strains of different crops that will be even more resistant and supposedly require less fertilizers and other chemical inputs – although, actually research shows that genetically modified crops actually require more fertilizers than did their non-genetically modified brethren. It, again, is a revolution that may be more hype than it is actually delivering but at any rate, it is, of course, once again populated by the same petrochemical interests. You have all of the IG Farben offshoots with their own biotech branches. You have Bayer Crop Science, you have BASF Plant Science, you have Dow AgroScience, you have DuPont Biotechnology and a lot of other related firms with oiligarchical interests. But on top of that you have a dizzying array of different research institutes and societies that have been created directly through Rockefeller or Rockefeller associated monies in the past few decades to try to spread this Gene Revolution. There’s the International Rice Research Institute, which of course is Rockefeller funded. You have the International Service for the Acquisition of Agri-biotech Applications, which is a Rockefeller / Monsanto / USAID conglomerate. You have the Consultative Group of International Agriculture Research, which was created by the World Bank in association with the Rockefeller and Ford foundations. So a lot of these same monies are accruing to this Gene Revolution, which is really just a furtherance of the Green Revolution. And in many ways, represents a really worrying monopolization of the building blocks of life itself, when you start looking at the ways that the gene revolution relies on these genetically modified crops – which are patented and patentable and these companies are not afraid to use them. In fact, they already have in numerous locations used the philanthropic cover to introduce these genetically modified strains in the midst of severe droughts and other problems with harvests, and then actually gone and tried to sue farmers or entire countries, in fact, that were trying to use these genetically modified products, without paying the proper royalties. In fact, that’s exactly what happened in Argentina where Monsanto did exactly that and ended up trying to demand royalties from Argentina farmers for planting their crops. This is, again, going on, and it represents not only billions upon billions upon billions of dollars for the companies involved in these biotech conglomerates but, of course, also, again, a worrying consolidation of control of the seed supply itself in the hands of a very few companies. Bonnie Faulkner: Well, that’s right. In addition to that, of course, the very big questions about the health effects for people who eat these genetically modified foods. That’s a whole other subject as well. As you point out, funding of the Gene Revolution is provided by the Rockefeller Foundation, the Ford Foundation, the Bill and Melinda Gates Foundation and other such organizations. What is the ultimately goal of all of this control? James Corbett: Well, this is really, I think, the important thing for people to grasp. Once again, I don’t think that ultimately the monetary incentive is the only one at work here. I think that’s the easily understandable one and, of course, as I say, there are numerous corporations that are making billions upon billions of dollars through the spreading of this Green / Gene Revolution around the world. But I think at this point when you look at some of the oiligarchs themselves, I don’t think money is necessarily the driving factor behind this. I think that we have to start to understand that this is ultimately about control – control of society, control of the very genetic code of the planet itself. That might sound outlandish until you start to piece all of these different pieces of the puzzle together – control over education, control over medicine, control over plants and agriculture start to form a control grid which really does look like a monopolization of almost every aspect of life as we know it. The question is, is there an ideology behind this, an ideology driving it? The answer is a resounding yes and, in fact, that is exactly what I’m going to get into in the follow-up to this documentary, which I hope to have released in the next month or two – which will be looking at the ideology of control that is really driving the oiligarchs, and it has its roots in late 19th century development of the now discredited pseudoscience of eugenics that was largely funded and helped by, of course, the Rockefellers in the American context through American research centers like the Cold Spring Harbor Laboratory and the American Eugenics Society and around the world, including, of course, in Germany through the Kaiser Wilhelm institute, and how that eugenics idea – which is basically the idea that there are certain people who are just genetically superior to others and thus have a sort of modern scientific divine right to rule is the modern scientific gloss on that. That, ultimately, was parlayed into a type of crypto-eugenics after World War II and the discrediting of eugenics as pseudoscience, which took on the form of overpopulation fear mongering and has really taken on the form of the guise of concern about climate. I think that’s going to be the next way in which this agenda of control is being foisted on the public. Bonnie Faulkner: Well, as you say in your Part 4, Conclusion: Monopolizing Life, the aim was much greater than a mere oil monopoly; it was the quest to monopolize all aspects of life and I think you’ve just laid that out pretty clearly. I’m very much looking forward to the second installment of these documentaries. I’ll have to hand it to you for putting these things together. This must entail an awful lot of work on your part. James Corbett: It is an incredible amount of work. I guess I have the advantage that I’ve now been researching these subjects for the last 10 years and so I’ve accrued an awful lot of information. The real hardest part of it is trying to distill it down to an hour and 15 minutes and have it make sense. I think you’ll find in my podcast archives I’ve talked about a lot of these subjects before. Maybe not some of these details but these subjects broadly speaking I’ve talked about at great length in many, many different hours of many different podcasts. But trying to distill it down is the hardest part. So really, the writing of this transcript took about a month, a month and a half to put together, and of course there was about a month of video editing that my video editor did, an excellent job of putting this together. But really, it does represent the culmination of upwards of a decade of research. Bonnie Faulkner: Well, I’m not surprised to hear that and, of course, when I was watching your hour and 15-minute documentary, whoa! I had to keep stopping and thinking because it goes by very quickly. As I said before and you’ve reiterated, it covers a vast amount of subjects, very complex. James, I’d like to now talk about another documentary that you made, on 9/11. In your documentary “9/11 Trillions: Follow the Money: An Investigation of the 9/11 Money Trail,” you begin with the question, “What was 9/11? A terrorist atrocity? An attack on America? The first salvo in a new war? A day that changed everything?” Well, that’s a very good question. What was 9/11, in your opinion? James Corbett: I think first and foremost we have to understand 9/11 as a crime, and I don’t think this is just a matter of semantics. I think it’s extremely important the way that we approach 9/11, what it was, in order to determine how we should approach understanding it, trying to piece it together and understand what happened. If we take it as an act of war, a terrorist atrocity, if we just immediately start to do that, we put it into a framework where we have already assumed the conclusion. We know who was behind it, we know what it was done for and we know how to respond. And that’s of course, exactly what took place and we saw the – well, we’re still living through all of the various ramifications of that including not only, of course, the invasion and occupation of Afghanistan still ongoing to this day but, of course, ultimately the invasion of Iraq, which was largely predicated on the fear that was induced on 9/11 and we are still obviously, with ISIS, living through the ramifications of that. So I think it’s extremely important to understand that 9/11 essentially was a crime. It was a crime perpetrated by … well, there have been the people identified by the 9/11 Commission as the 19 hijackers but more importantly, crimes do not take place, generally speaking – or certainly not crimes of this magnitude – just by a few individuals just deciding to get on a plane one day. There is a conspiracy behind them, necessarily. By definition, if they have conspired to bring this out there is a conspiracy, so I think we have to try to understand that. And, of course, when we look at it is as a crime, one of the key investigative tools for any would-be investigator of any crime is ‘follow this money’. This is a dictum that is well known because it does tend to work. We can understand the connections, we can start to piece together how the crime was committed and why it was committed if we start to look at the various ways that it was funded and the ramifications of this, what kind of monetary effects did this have. I think when we put 9/11 in that context we have a vastly different story going on than what we’ve been presented with in the news media as the official story of 9/11. Bonnie Faulkner: You begin your documentary on 9/11 with “The Heist.” You state that in 1998 the New York / New Jersey Port Authority decided to privatize the World Trade Center complex and that in April of 2001 an agreement was reached with a consortium of investors led by Silverstein Properties and that in July of 2001 a 99-year lease was signed with Larry Silverstein. How was this deal unusual? James Corbett: Well, there were a few things that were unusual about it, one of which was that the Port Authority had only insured the WTC center for $1.5 billion. In fact, I believe earlier in 2001 the entire complex had been estimated at a value of $1.2 billion. And yet Silverstein insisted on insuring $3.55 billion, which is a doubling of the amount of insurance that the Port Authority had on it, which again, is somewhat unusual, and in fact, was such a large deal that it was very difficult to put together. Silverstein’s insurance broker ultimately had to split the coverage up amongst 25 different dealers. It was a very complex negotiation that was still ongoing as September 11th unfolded. There were preliminary agreements in place but it had not all been finalized, which led to the years and years of court battles that we saw in the years afterwards with Silverstein being embroiled in all sorts of court actions against his insurers trying to claim not only, of course, the $3.55 billion that the World Trade Center had been insured for under that deal but in fact, $7.1 billion because as he immediately in the wake of 9/11 tried to claim, this was not one but two acts of terrorism and thus counted double for the insurance purposes. So that was fairly unusual. Also, just the fact that this was a 99-year lease that specifically included provisions in the event of the destruction of the towers that would allow Silverstein Properties to rebuild in that area and to increase the amount of commercial space available in that area, which is interesting because, of course, prior to 9/11 the World Trade Center was not a prime real estate property. It was not fully leased. It was, in fact, aging buildings that had many problems with them including asbestos problems that were going to require a large amount of money to solve. In fact, other than the prestige associated, of course, with being the leaseholder of the World Trade Center, there were a lot of problems with the buildings themselves. Well, that seemed to have been taken care of, I suppose, just literally weeks after the ink was dry on that deal. Bonnie Faulkner: Is it also true that Larry Silverstein took out insurance against a terrorist attack? James Corbett: Terrorist events were part of the coverage. My understanding is that that was not in and of itself unusual. Of course, his trying to make the two plane strikes count for two different terror attacks was somewhat beyond the pale, but he ultimately did end up making over $4 billion in insurance coverage and he had only insured for $3.55 billion, so the courts ultimately handed him something of a victory in that regard. And ultimately he did profit from the attacks directly. Bonnie Faulkner: You say that a much deeper, more complex and well-hidden heist was taking place behind closed doors on September 11th, 2001. What can you tell us about this deeper heist? First of all, what is Marsh & McLennan? James Corbett: Marsh & McLennan bills itself as a diversified risk insurance and professional services firm, ultimately a type of insurance agent, that currently has over 57,000 employees and brings in revenues of over $13 billion every year. At the time of 9/11, they occupied floors 93 to 100 in the north tower of the World Trade Center and they had hundreds of employees working there. This is important because Marsh had recently, just prior to the attacks, contracted with a firm called SilverStream Software to try to create an electronic connection between Marsh and some of its premier clients for paperless transactions. Nothing of this sort had been accomplished or even attempted before this point and so they were really trying to pioneer something with this. Some of their largest clients included Merrill Lynch and Deutsche Bank and Bankers Trust and Alex Brown and Morgan Stanley and other financial services firms that were contracting with Marsh, and so they were creating this special proprietary electronic paperless transactions software system. In fact, they ultimately ended up winning a type of insurance industry insider kind of award called the Accord Award, I believe in 2001, specifically for developing that system, shortly before the 9/11 attacks. This software … the extent of it is not really publicly known but we do have one person who was working on that deal as a sales representative for SilverStream who has come out and talked about the deal itself. His name is Richard Grove. He now has his own podcast and runs his own website at TragedyAndHope.com. He was part of this deal as a sales representative who started to notice anomalies in the way that this contract was being billed, and basically to the tune of millions of dollars, money was being put into this deal that wasn’t making its way through the system properly. He was trying to sort this out with various people both at SilverStream and at Marsh and at Marsh’s clients. This started to become a major issue, and ultimately on 9/11 itself there was a meeting that was taking place. We do have independent confirmation that this took place from Marsh’s Chief Information Officer, Ellen Clark, in a 2006 interview. There was a meeting that was taking place in Marsh’s offices in the World Trade Center on 9/11 that was specifically going to hear about these suspicious parts of this contract that was taking place. Now, obviously in the north tower on 9/11 where this conference call was taking place, none of the employees involved in that conference call survived. Richard Grove, who was stuck in traffic on the way to the World Trade Center as he was supposed to make an appearance at that conference call ultimately didn’t make it there and survived to tell the tale. This is interesting because we also have, from Michael Ruppert, who I believe you’ve talked to in the past, one of the former Deutsche Bank employees who was working in the World Trade Center at that time talked to him about how the computer systems in Deutsche Bank in the twin towers were being “taken over,” co-opted and run by something – they didn’t know where it was coming from. There was a massive data purge, a massive data download as the attacks were happening. Of course, all of this swirls around the e-link clients that SilverStream Software was developing with Marsh for its key contractors. So all of this seems to indicate – and again, Convar did start to find hard data backing up the fact that there were anomalous transactions taking place in the World Trade Center at the time of 9/11 – but interestingly enough, that Convar investigation was ultimately quashed and the FBI will no longer talk about it. Convar itself will no longer talk about it. They will not even confirm that they ever did this work. Although they do talk about it in promotional materials, when asked by interviewers about the information, what they found, what kind of transactions they were looking at, how much, they will now not talk about it at all, simply saying that that investigation was over and they’re not allowed to talk about it anymore. We do know that the FBI was one of the investigative agencies that was getting information from this but they have not released any reports on what was found in the Convar information. So we know that there were anomalous transactions taking place, we know that there was this unusual, unprecedented e-link that was being forged in the months prior to 9/11 between Marsh & McLennan and its various contractors, and we have testimony from a Deutsche Bank employee that there was something very anomalous happening during the attacks themselves, but we don’t really have ultimately any answer as to what this all was because, unfortunately, again, all of these investigations have been quashed and come to an end. Bonnie Faulkner: Now, did Richard Grove work for SilverStream or for Marsh? James Corbett: He was working for SilverStream Software specifically as a sales representative. He was selling the software that SilverStream was developing to Marsh so that Marsh could develop this e-link software. Bonnie Faulkner: I see. And yes, you mentioned Michael Ruppert. Just as an aside, the first program that I ever produced on Guns and Butter was actually a little half-hour program live with Mike Ruppert one month after 9/11. It was going to be an economics show on the put options and, of course, it turned into a show on 9/11. So I’ve found the subject following me around ever since. What did you discover in your research about insider trading in the days leading up to and on September 11th? James Corbett: Well, as you say, Michael Ruppert did do pioneering work on this issue and it’s one that’s somewhat understood by, I think, a lot of the public at this point but really only in a tiny, little way. A lot of people have heard about the put options that were put on various airlines, American Airlines and United Airlines, that were, of course, obviously adversely effected by 9/11, and that is a part of the story. It’s one that was well covered in the first couple of months after 9/11 even in mainstream locations. ABC News and others covered it, talking about some of these put options. To put it into perspective, for example, you have put options on United Airlines that were put in the days prior to 9/11 that were relatively small, $180,000. But in the wake of 9/11 and, of course, the plunging of United Airlines stocks, that turns into $2.4 million, so millions of dollars of benefits, and that’s just one example of one of the trades that was made. I think the impression that a lot of people have is that, well, this was investigated and they found that there was really nothing behind it and it’s been overhyped. Quite the contrary. In fact, there have been three different scientific studies that have taken place over the past 10 years that have demonstrated that there is a statistically identifiable increase in put option activity, unusual increase in option activity, in the S&P and Dow Jones in the lead-up to 9/11 that are suggestive of advance knowledge of the attacks. And it isn’t just airlines. There were a number of put options on a number of companies that were directly impacted by 9/11 including Boeing, Merrill Lynch, JPMorgan, Citigroup, Bank of America, Morgan Stanley, Munich Re, the AXA Group, Marsh & McLennan was one of the major companies that were implicated in this options training. But also, on the other side, not just put options but call options, i.e., basically bets that the stock was going to increase, were also put in an anomalous way on Raytheon stock, which at the time was $25. Of course, after the invasion of Afghanistan, which was heavily supplied by Raytheon Tomahawk missiles, that stock went up to $34, a 37% increase. So again, there were a lot of different trades made on a lot of different stocks in the immediate run-up to 9/11 – we’re talking days and weeks prior to 9/11 – that ultimately ended up paying millions and millions of dollars. The official investigation of this by the FBI ultimately concluded that “we have not developed any evidence suggesting that those who had advance knowledge of the September 11th attacks traded on the basis of that information,” which seems to be, at first glance, a denial that there had been any advanced trading taking place. But in fact, when you look at that, they say that there is no evidence that those who had advanced knowledge traded on the basis of that information, which of course begs the question, how did the FBI, how did the Department of the Treasury, how did the SEC determine who had advanced knowledge of the attacks, especially when there seems to be advanced knowledge in the very act of placing these bets themselves? Kevin Ryan, who I believe you’ve also interviewed on this program, has talked about how ultimately it was Wirt Dexter Walker III, a distant relative of George W. Bush, President Bush, but also a business partner of Marvin Bush, the president’s brother. So these were a couple of the people who were identified in that FBI investigation and not even interviewed because they had no conceivable ties to terrorism, therefore they could not have been trading on advanced knowledge. I think that goes to show that the FBI investigation was ultimately an open question itself. How did they know that these people had no advanced knowledge? Bonnie Faulkner: James Corbett, thank you very much. James Corbett: Thank you very much for having me on. It’s a pleasure. I’ve been speaking with James Corbett. Today’s show has been Oil and 9/11: Crossroads of Corruption and Criminality. James Corbett is the producer and host of The Corbett Report, an Internet-based, independent, listener-supported alternative news source that has attracted a large audience. The Corbett Report is edited, web-mastered, written, produced and hosted by James Corbett. It includes a weekly podcast and several regular online video series. James Corbett has been living and working in Japan since 2004. He started The Corbett Report website in 2007 as an outlet for independent critical analysis of politics, society, history, and economics. He is also an editorial writer for The International Forecaster, the weekly e-newsletter created by the late Bob Chapman. Visit The Corbett Report website at corbettreport.com. Visit gunsandbutter.org to hear the remainder of this interview and read a transcript. Guns and Butter is produced by Bonnie Faulkner, Yarrow Mahko and Tony Rango. Visit us at gunsandbutter.org to listen to past programs, comment on shows, or join our email list to receive our newsletter that includes recent shows and updates. Email us at [email protected] Follow us on Twitter at #gandbradio. James Corbett: One of the most interesting parts of all of this story is that, in fact, we have a former CIA agent, and not just any CIA agent but Robert Baer who was actually the inspiration behind the character that George Clooney plays in the movie “Syriana.” He’s a talking head that’s often brought on CNN and other major networks to talk about the Middle East where he had been stationed for a long time in his CIA capacity. In 2008 he was recorded by a citizen journalist group talking about how he knew, “I know the guy that went into his broker in San Diego and said, ‘Cash me out; it’s going down tomorrow’,” in reference specifically to 9/11. When questioned about this he said, “Well, his brother worked at the White House” and left it at that. That’s on record. Again, you can go and watch the video of Robert Baer talking about this. So we have this well-known former CIA agent talking about this direct advance knowledge of the 9/11 attacks the day before 9/11, and that has not been reported on as far as I know by any major news network, has never been followed up whatsoever, but is a pretty glaring admission that there was something, unless we are to take the fact that perhaps Robert Baer was simply lying, or maybe it was a joke. Maybe that’s what he’ll say. But at any rate, no one has followed up on that. And in putting that together with all of the data that we have from these scientific studies that show there was anomalous trading and the FBI investigation documents that have been released showing Wirt Dexter Walker III and others being involved in that trading, I think it’s highly significant and something that really does deserve people’s attention. Ultimately, this question of advance knowledge trading on the 9/11 attacks is not over. It’s not done with. There’s still a lot of information that needs to be talked about but, perhaps conveniently, the SEC will never be able to release the records of their investigation into this because those records were destroyed as part of routine recordkeeping, something that was discovered by a researcher placing a FOIA, a Freedom of Information Act, request for that information, a few years ago. The response was that the SEC had no responsive documents because that had been destroyed. So we will never know what the SEC ultimately concluded from their investigation into this insider trading or where that information is. Bonnie Faulkner: Now, as you point out in your documentary, the offices of Marsh & McLennan in the north tower were, I think, completely destroyed because they were in the exact impact section on the north tower. Isn’t that correct? James Corbett: That is correct, yes. Bonnie Faulkner: The Chief Risk Management Officer of Marsh & McLennan was none other than Paul Bremer. He wasn’t killed on 9/11. Where was he? So literally within hours of the plane strikes you had Paul Bremer, head of risk management at Marsh & McLennan who was not at his offices but at the TV studio recording this interview, talking about how bin Laden was the prime suspect. And, of course, as I say, he went on to become the Iraq Occupation Governor. Bonnie Faulkner: The second half of your documentary, “9/11 Trillions: Follow the Money” is on the “Pentagon’s Missing Millions,” beginning with the $2.3 trillion that was first mentioned in Rumsfeld’s confirmation hearing, and then again on September 10th. What’s even more shocking is Rumsfeld’s mention of Roberta Wohlstetter’s book, Pearl Harbor: Warning and Decision at that same hearing, this being January 2001. What did you discover in your research about the Pentagon’s missing millions? Or trillions, I should say. James Corbett: Indeed, missing trillions. It is difficult to even wrap your head around such a concept, especially a decade-and-a-half ago when trillions was still a large number. I suppose in our post-bailout world it doesn’t seem quite as large as it did at that time. But yes, this was a startling conclusion of a DOD Inspector General Report that in the early part of the 2000s, specifically the Inspector General Report for Fiscal Year 1999, had found $7.6 trillion of department level accounting entries through the Defense Finance and Accounting Service that were processed in that year, but of that $7.6 trillion of accounting entries, only $3.5 trillion could actually be accounted for. There was $2.3 trillion in transactions that were fudged essentially to make entries balance. They were run without proper documentation or even made up entirely, and the Inspector General’s office did not even have the time or staff to examine the other $1.8 trillion in transactions that were unaccounted for because they just simply didn’t have the resources to combat that, to look at that problem. So that was the pretty startling conclusion of the DOD Inspector General’s Fiscal Year 1999 examination, and this, of course, came up in the confirmation hearings for Rumsfeld, as you say, where they talked about this at some length. At that time, of course, the incoming Bush administration was arguing for a $50 billion increase in the Department of Defense’s budget, which the senators in the confirmation hearing were taking a bit of umbrage at, the idea that they would spend another $50 billion on the Department of Defense when there’s at least $2.3 trillion in transactions that couldn’t be tracked and presumably were “unaccounted for,” we’ll say. “Missing” might not be quite the right way to put it, but certainly unaccounted for with the possibility of a lot of that money being simply missing. At that time it became something of a political issue, certainly in the confirmation hearings and in some of the other Defense budgetary hearings that were taking place throughout 2001. Again, in July of 2001 Rumsfeld was talking about this before the House Appropriations Committee. It was certainly a large topic, and one would understand why – again, talking about trillions of dollars in unaccounted transactions, equivalent to the entire federal budget for that year, actually, a startling amount of funds that were unaccounted for. Interestingly, on September 10th, 2001, the very day before 9/11, Rumsfeld made a speech in which he talked about how America was going to start a new war, a war on bureaucracy. Because of this unaccounted-for money that they couldn’t track through the system, well, they were going to have to start a war on bureaucracy in order to try to find out where this money was and what was happening to it – a war which, I suppose, melted away in the wake of 9/11 because, of course, in the wake of 9/11 there was no question whatsoever whether or not the U.S. Department of Defense’s budget should increase or not. It was increased greatly and, of course, we saw the Afghanistan invasion and the Iraq War take place as a result of that increase. Interestingly, part of that September 10th speech, Rumsfeld actually posed the question, “Some might ask how in the world could the Secretary of Defense attack the Pentagon in front of its people. To them I reply, I have no desire to attack the Pentagon; I want to liberate it.” That was less than 24 hours before the Pentagon was being struck. Bonnie Faulkner: What can you tell us about Pentagon controller Dov Zakheim and his connections? James Corbett: Pentagon controller Dov Zakheim was the chief of something called the Systems Planning Corporation, and Systems Planning Corporation, SPC, was involved in defense contracting for Department of Defense, for DARPA. It was involved in the radar physics laboratory, remote control system for airborne vehicles. It had a lot of different contracts going on, but basically it was developing, among other things, ways to remotely control airplanes. Zakheim, of course, ultimately ended up becoming the Comptroller overseeing the trillions of dollars of missing money from the Pentagon, which was interesting in and of itself – but also interesting perhaps for his connection to something called the Project for the New American Century, which I’m sure many of your listeners have heard about before. This was a group of neocons in the late 1990s during the Clinton administration who formed a group in 1997 specifically to try to put forward various policy initiatives. One of those was called Rebuilding America’s Defenses, which was a 2000 document. It was released in September of 2000, calling for a vast transformation of the American military and among other things talking about introducing biological weapons as a possibility for future warfare and things of that nature, really quite amazing, startling things. But that document, of course, contained the famous line that “the process of transformation, even if it brings revolutionary change, is likely to be a long one absent some catastrophic and catalyzing event like a new Pearl Harbor.” And, of course, immediately in the wake of 9/11 it was referred to as the New Pearl Harbor, which, of course, did bring to mind Rumsfeld’s praising of the book about Pearl Harbor by Roberta Wohlstetter in his January 2001 nomination hearings. Of course, one of the authors of that document, one of the people involved in that Project for the New American Century that put out that Rebuilding America’s Defenses document was Dov Zakheim, who of course went on to become the Comptroller. Donald Rumsfeld, incidentally, was also a member of the Project for the New American Century. Bonnie Faulkner: In your documentary it is stated that “by the year 2013 there was $8.5 trillion in unaccounted-for Pentagon funds.” I guess there is no oversight at all, even to this day. James Corbett: No. The Pentagon has not been able to balance its budget in all of this time. It has not been able to provide accurate accounting of what’s going on. This is an ongoing problem. It should really, you would think, be one of the major scandals of the 21st century. One would think that considering the amount of money that we’re talking about here, $8.5 trillion unaccounted for – again, it doesn’t necessarily mean that all $8.5 trillion is missing per se; it’s just that they can’t tell how they spent it. But there are some indications that we have of the scope of what we’re looking at here. For example, Stephen Miles in a report that was broadcast on RT was talking about one of the Inspector General reports that has been released since 2001 –incidentally, I should say that there was no fiscal year 2001 Inspector General Report released at all because there was an understaffing of the Inspector General office as a result of 9/11 and the hitting of the Pentagon’s offices, so that’s, I think, interesting in and of itself. But anyway, in the intervening years, the Inspectors General looked at a number of different things, including specifically at the money spent on the invasion of Iraq. Even in that tiny slice of money they were able to find that $50 billion of the invasion funding was completely wasted and about $6 billion completely lost. There is absolutely no way to account for it. So again, this is an ongoing problem and you would think that this would be a major political scandal, but for some reason it doesn’t appear to be. The only people that I have ever seen ask Rumsfeld about this since really that time, since he left office, was a citizen journalist group, which I believe in 2011, perhaps in late 2010, asked him about this money. He stumbled his way through a response in which he said it was billion dollars instead of trillion – he said $2.3 billion, perhaps a slip of the lip – and tried to wave it off as, oh, well, we just couldn’t track it through our system. It’s because of old computers and things of that nature. So again, it’s quite remarkable how this has been basically swept under the rug of what you would think would be the major economic accounting scandal of the 21st century. Bonnie Faulkner: Well, James Corbett, I would like to congratulate you on two terrific documentaries, “How Big Oil Conquered the World” and “9/11 Trillions: Follow the Money.” How about telling us a little bit about The Corbett Report, how it’s produced? James Corbett: I started this back in 2007. In 2004 I moved to Japan. I’m Canadian originally but I came to Japan to teach English and I was doing that for a few years. In 2006 or so I started to encounter some of the information that led me along the path towards creating The Corbett Report, including, of course, some of the interviews that you’ve done on your show. That information just started to accrue to the point where I could not take the discrepancy anymore between what I was seeing represented in the mainstream versus what I was finding in these various online sources through firsthand documentation and other things, like the Operation Northwoods documents and things that were just not being talked about in any of the media that I was seeing on a daily basis. So I decided to start The Corbett Report. I started it in 2007. Initially it was just going to be a podcast but that quickly expanded into articles and interviews and videos, and now, at this point, for the last four-and-a-half years now it’s been a full-time endeavor for me and I’m supported through subscribers and people who donate to try to make this possible. I’m extremely humbled to be in this position, because I know not a lot of people are able to do full-time work on this, so I don’t take that lightly and I do try to put out the best work that I possibly can. As I say, some of these things, like my recent oil documentary is really in some sense the culmination of nearly a decade of research. Bonnie Faulkner: Well, that’s easy enough to believe, and congratulations for making that full time. It’s full time for me, too, but I’m still struggling to try and make it viable. It sounds like you’re doing very well. James Corbett, thank you very much.